You're right -- I'm not seeing Panjyamon referred to as a Perfect anywhere other than the side bar. I'm gonna have to re-work that line. Ancient Sphinxmon - Black Tailmon to Lowemon reminds me of Tailmon to Angewomon or even Patamon to Angemon. Champion Panjyamon is "fine", though I also agree I dont like it there. due to the lack of mega level, digimon in world are different to the future, like machinedramon, jijimon, hououmon, metaletemon and herculeskabuterimon as ultimates instead of megas, etc. Last edited by Muur; 11-05-2018 at 02:39 PM. Champion Panjyamon is "fine", though I also agree I dont like it there. 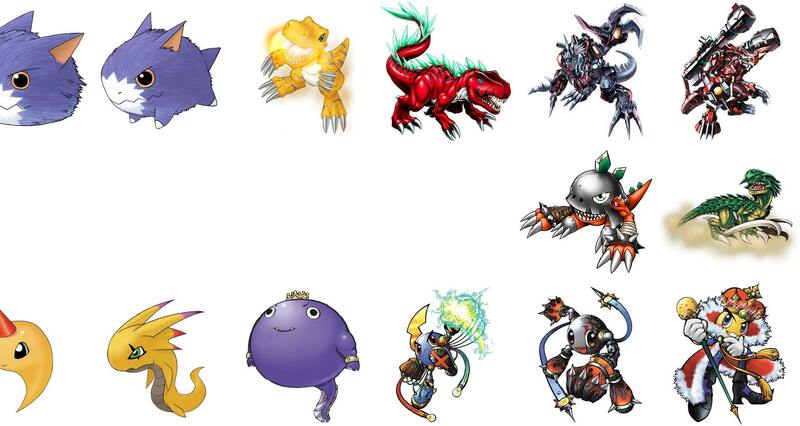 due to the lack of mega level, digimon in world are different to the future, like machinedramon, jijimon, hououmon and herculeskabuterimon as ultimates instead of megas, etc. I thought Gesomon X > Calamarimon had the same... personality? If that makes sense. Gesomon's teeth carry over from Shakomon (which is why I decided against using Shakomon X, though I think it'd make a good Child for Lanamon) and its gold earrings turn into bangles with Calamarimon. Arkadimon Super Ultimate works well too! I can see the jellyfish influence. I wish we had a sea hag Ultimate, especially after putting this together I'm getting a very Ursula from Little Mermaid vibe. It' has nothing to do wih the sea but Babamon could work maybe? That Ancient Mermaidmon line fits perfectly and I've used it before myself. i always liked to picture what the Ancient Digi world whould have been like and what Digimon roamed there aswell as what evos could hold true for the ancient Digimon. unfortunately there are some gaps, but it can´t be helped, unless you want to semi-cheat with Armors, they are an ancient way of digivolution after all or Dinobee/hu/rexmon but i kept it to the basics here. one major flavor win i think is Dracmon>Veedramon>AeroVeedramon>AncientGreymon. Dracmon is the progentior to all dragon digimon, A.Greymon passed it´s power down to the dramons and Greymons and the Vee´s are Taichis original partners from almost the very beginning of the series. On the announcements page is an interview with Kenji where he says how Merciful Mode was Ishinomori superheroes, so I had to make this. I'd like to see Justimon + Omegamon = Merciful Mode in a videogame or Vpet someday. The Vpet roster inspired me to make this. I love when random Digimon are mixed together, and I love Damemon and the weird mutant Digimon but I kind of dislike Thunderballmon. Tsuwarmon/Damemon and MetalMamemon/Mamemon are slide evolutions. Here's the best Renamon I can think of since the Vpets use non X Antibodies. Renamon and Kyuukimon have very similar tattoos. Here's an X Antibody one. The fire from Cerberumon is a good link, I wonder if it'll evolve to Sakuyamon in the actual vpet. Dobermon might be less weird/more canine too. Last edited by flintlock; 11-09-2018 at 07:11 AM. Wow that is a big picture for Sakuyamon X. A real big one. Nice lines. I like these especially the Damemon/Tuwarmon one.